Digital Marketing Contractors are in High Demand in DC. Are You Looking for More Freelance Work? As businesses continue to focus on their online presence, we’re seeing companies in just about every industry here in the Nation’s Capital looking to employ the expertise of digital marketing professionals. 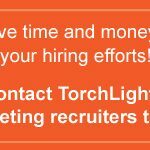 Whether you’re searching for an associate, director or contractor position, TorchLight can connect you to businesses that are hiring. If adding to your Washington, Maryland or Northern Virginia marketing team is at the top of this year’s to-dos, don’t waste time scanning resumes for potential hires that might fit your needs. At TorchLight, we can find that marketing genius you’re looking for quickly and efficiently—it’s all we do! If starting a new marketing, communications or PR job is among your 2018 New Year’s resolutions, TorchLight can help ensure it’s one resolution you won’t break.